There are three suits in our Whitley range, grey and navy are the other colours. Made by Magee they are pure new wool. The cloth has a gentle ‘herringbone’ weave which adds a little texture but not quite a stripe. There are a number of ways to wear this suit - with traditional stripe trousers or matching black trousers. 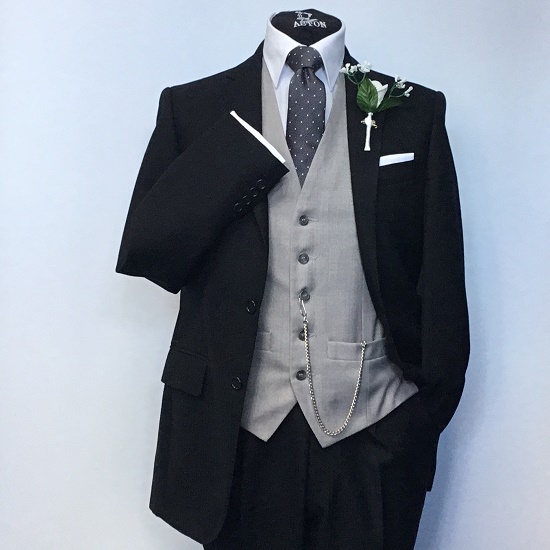 You can choose a contrasting or complimenting waistcoat depending on the occasion. 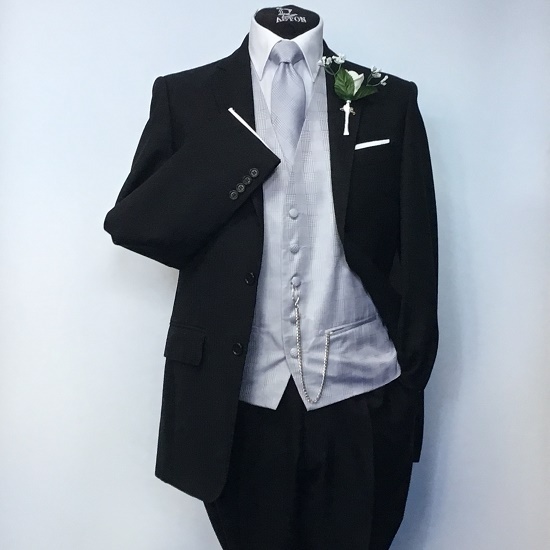 All our Whitley suits are available in several fittings throughout all boys and adults sizes. 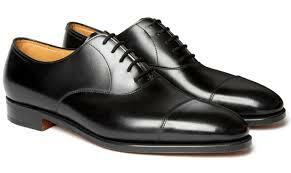 They’re also available made to order as part of our Personal Tailoring Guarantee – please ask for details. The Black Whitley is also available to hire as part of funeral suit package from €65 – please ask for details.